NOTE: You can get this album FREE on NoiseTrade! "Love is Breathing", the new Christmas album by "Our Hearts Hero," is different from any Christmas album I've heard (by Christian artists or not). Perhaps the most striking aspect to me is that every song is about Jesus' birth--not a single song about chestnuts or snow or anything. The closest to a "secular" song is the excellent (and currently FREE on their website!) Carol of the Bells, but they threw in an interlude of "God Rest Ye Merry Gentlemen" in the middle to fill it out. Now, granted, I'm sure there are plenty of all-religious Christian Christmas albums out there. But it seems like even many everyday Christian rock albums throw in a remake of a secular song, and most Christmas albums seem to have some religious songs and some secular ones. To hear an album that's so heavy on rock but all REAL Christmas songs is something special in and of itself. Others have noted that from the titles of the songs you might think it's an all-original album, when it's not. (Though this close to Christmas, I imagine you're probably buying from an online outlet, and if you listen to the previews you'll figure it out quick enough.) "Love is Breathing" is the only fully original song. 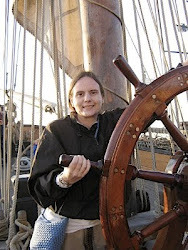 Most of the others have at least some snippets of new music and lyrics and/or new and unique arrangements. I think giving the songs names like "Glow" (for "Gloria in Excelsis Deo") is fair, because the majority are not really the old songs, but not something completely new, either. Relient K does some of this in "Let it Snow Baby, Let it Reindeer," especially in their version of "We Wish You a Merry Christmas" where the verses are made up but the chorus is classic. But I think several of the songs on "Love is Breathing" one-up that classic album in that regard. If you're the type who doesn't want to hear another rendition of old classics, then this may not be the best pick for you. But this album is full of fresh and unique takes on truly classic songs. And it's a joyful album, too. Many Christmas albums, as well-intentioned as they can be, are kind of somber. The upbeat takes on the songs, coupled with the fact that there's absolutely no longing for absent family or snow or the like, makes this a very Christmasy album. Their own original song, "Love is Breathing," has some amazing lyrics from the point of view of a shepherd. The chorus goes "Love is breathing, Hope is screaming tonight in the baby's cry. I have mercy and I saw grace inside of this newborn's eyes. And everything we know's about to change. And He's laying in the stable in a manger asleep on the hay." 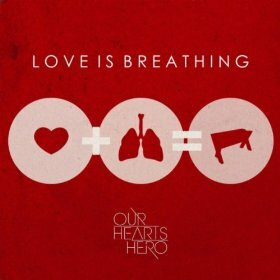 Anyway, if you like Christian rock at all, hurry and buy "Love is Breathing" by Our Hearts Hero. The sooner you buy it, the more time you have to listen to it before Christmas!